The prettiest spring scent, one seriously smart sunscreen, and self-tanner made goof-proof. Skirt season is upon us. 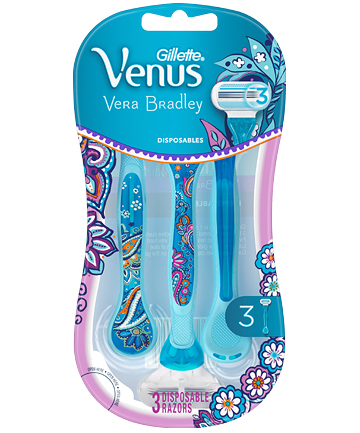 And to get our legs smooth and prepped, we're counting on the oh-so-pretty Vera Bradley + Venus Designer Disposable Razors, $6.99 for three. It's the same great glide we love, all dressed up for spring in bright, cheery patterns.